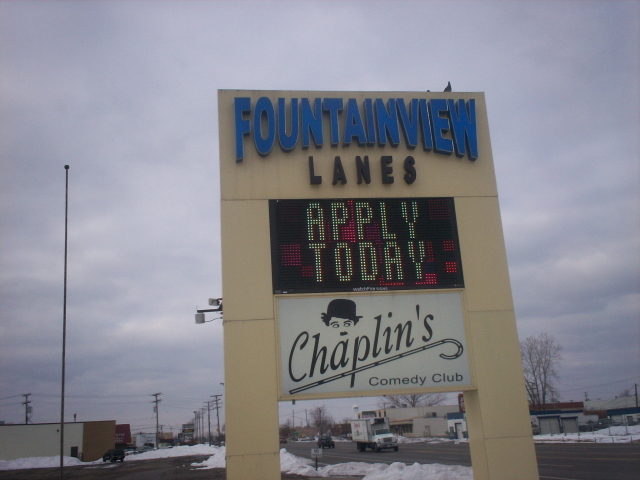 Sign Systems of Michigan has been providing quality sign repair and installation services for more than 25 years. We offer repairs and installations for all types of signs including digital, fluorescent, neon, LED, billboards and architectural. We can handle the installation or repair of any sign large or small. With lift capabilities as large as 75 tons and cranes capable of over 200 feet no sign installation is too large for Sign Systems of Michigan. This gallery shows some example sign installation and repair projects. Let our skilled professional staff at Sign Systems help your business get the recognition your company deserves. At Sign Systems we take pride in offering the highest quality signs and lighting services to fit within your budget. From fabrication and timely installation to lighting your entire business inside and outside, let our professional staff, licensed electricians and service technicians show you the difference that professional grade makes. Including: Ann Arbor, Auburn Hills, Belleville, Birmingham, Bloomfield, Clarkston, Canton, Clinton Township, Dearborn, Dearborn Heights, Detroit, Farmington, Garden City, Genesse County, Grosse Pointe, Highland Park, Hamtramck, Holly, Jackson, Livonia, Lansing, Livingston County, Madison Heights, Macomb County, Milford, Mt Clemens, Novi, Northville, Oakland county, Plymouth, Pontiac, Roseville, Redford, Rochester, Royal Oak, Shelby, Southfield, South Lyon, St Clair Shores, Troy, Wayne county, Waterford, White Lake, Westland, Warren. Website Design by Majestic Web Design.